July has been a very active and very fruitful month for Duleek and District AC with lots of adult club members out and about in races near and far. Avondale House could not have provided a more picturesque setting and backdrop for the annual Wicklow Hospice Foundation 5,10 and 15 mile events. 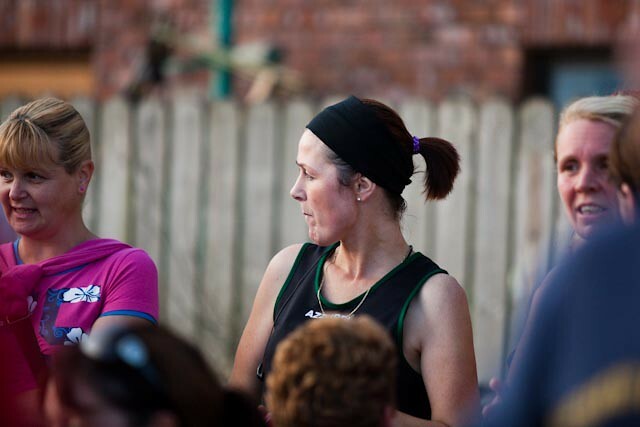 Two of the clubs most prolific racers Anne Hamilton and Sandra Cassin clocked up more racing miles in the 10 mile event. A week later Anne and Sandra were in the Phoenix Park at the Spar Fitlive 5k event representing the club once again, where they both clocked excellent times. There was just enough time to come home, shower, sleep and eat before dusting themselves down to take on the annual Dunleer 4 mile road race the following day. Once again, Sandra and Anne ensured the green vests were to the fore with two more great performances. 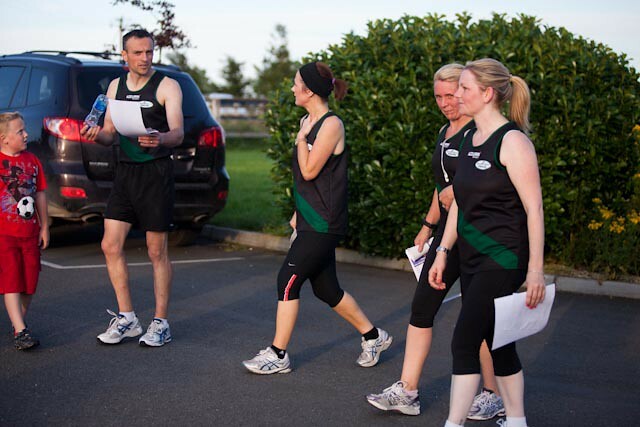 A number of factors conspired to ensure that there was a massive turnout from club member at the Bettystown 5 mile road race. Chief amongst these was the fact that the race is one of the last remaining events on the captain’s series so the opportunity to pick up valuable points for each respective team was fully availed of. In addition, the geographical proximity of the race, pleasant running conditions and quality of the product on offer ensure it is on the to do list of the majority of club athletes each year. As always, an excellent race was provided by neighbouring club Cilles AC. It was no surprise that 35 green singlets went to post in this eagerly anticipated event. The race was notable for some very impressive times recorded by a number of the clubs newer members. Barbara McLoughlin ran just over 55 mins in one of her first races for the club. Olivia Woods clocked just under the 49 minute marker. Karen Dunne left it all out on the roads to clock 47.39 with Alison Clarke finishing just before her in 47.13. 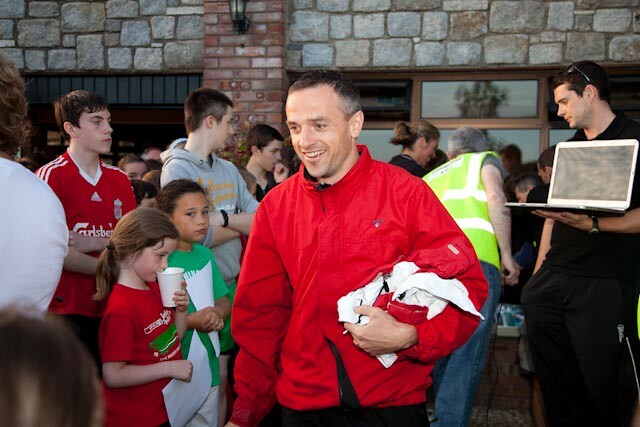 Michael Clifford was another who impressed in one of his first races for the club with a time of just under 49 mins. The more experienced club members were not to be outdone and there were some equally notable achievements on the night. Susan Walsh made a welcome return to action as she raced home to a time of 45.57. 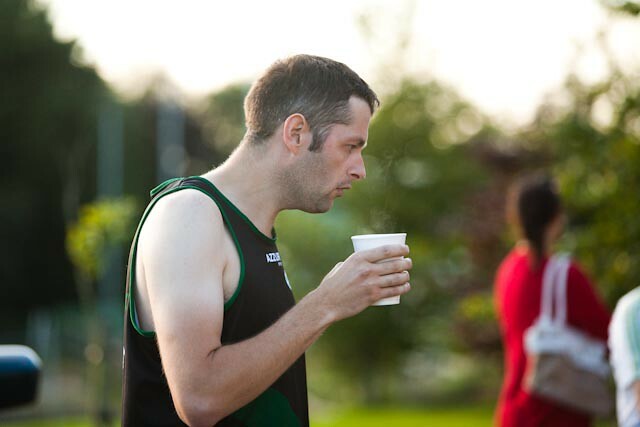 Alan McKeown continued his recent good form that saw him eclipse the 20 minute marker over 5k as he finished in 34.26. Steve Gallagher was hot on his heels with 35.49. Club adult coach was another who made a welcome return to racing action, showing no signs of racing cobwebs with a time of 39 minutes. Orla Hillman carried on an excellent season with performance that fully merited a time of 45 minutes flat with Karen Creed clocking an excellent 43.22. The beach in Donabate provided yet another spectacular backdrop for the latest East of Ireland racing series. As usual the multitude of races on the day ensured almost all athletic tastes were adequately catered for. Ray Cassin completed the full marathon as he finalises preparations for his 100 mile challenge in mid August. Anne Hamilton and Sandra Cassin were once again prominent as they completed in the half marathon distance, where they were joined by Eric Devine. 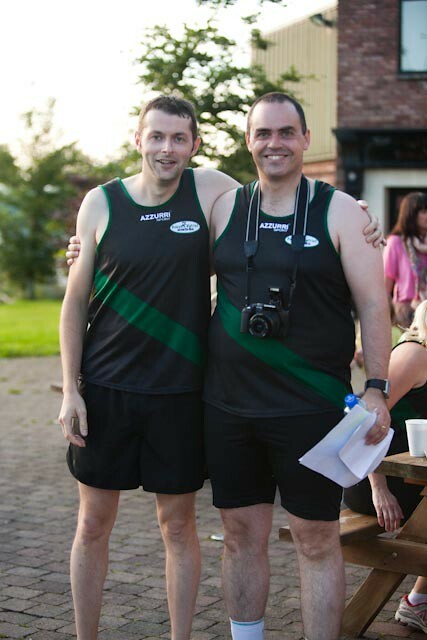 Earlier in the same weekend the club was represented in the Sosad 5k in Drogheda by Greg Dixon and David Doyle. Within any athletic club there are a variety of sub plots throughout the year. Typically, these are derived from each athlete’s individual goals as within the same race each athlete has their own personal goal or target. As athletics is primarily an individual sport the importance and prevalence of tangible goals is paramount to maintaining motivation, prolonging effort and providing direction. 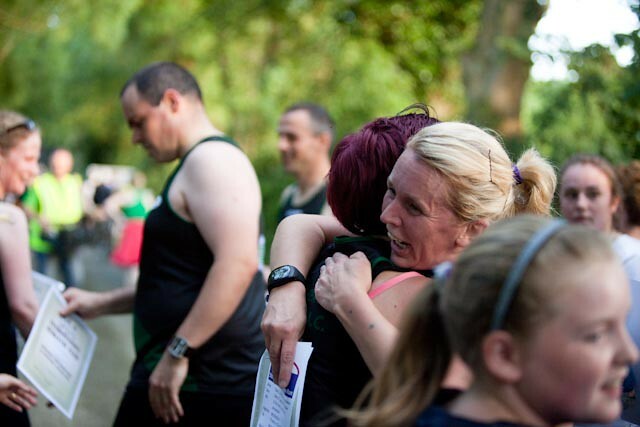 Within road running one of the most commonly held, but difficult to achieve goals is the sub 20 minute 5k. In each and every 5k road race there will be a series of athletes with this particular goal in mind. Duleek AC athlete Alan McKeown has been edging closer to this goal over the past number of months and at the recent Bohermeen 5k finished a matter of seconds outside it. However it all came good at the St Coca’s 5k in Kilcock last Friday evening as all the key ingredients (good course, high calibre field and ideal conditions) combined to ensure Alan got over the line this time finishing in a time of 19.51. In the same race there was a return to 5k action for Peter Hearty who is finding his racing legs again with an impressive 17.27 time. On Saturday the action moved to Clontarf for the 5 mile and half marathon events. In a large half marathon field Lorraine Noone continued her excellent season to date, running well timed splits to bring it home in 1 hour 55 mins. The club was very well represented in the 5 mile event amongst an equally large field. Racing enthusiasts Sandra Cassin and Anne Hamilton added another great racing performance to an already impressive roll of honour for the season. Sandra clocked 49 mins and finished just behind Anne who finished in 48 mins. 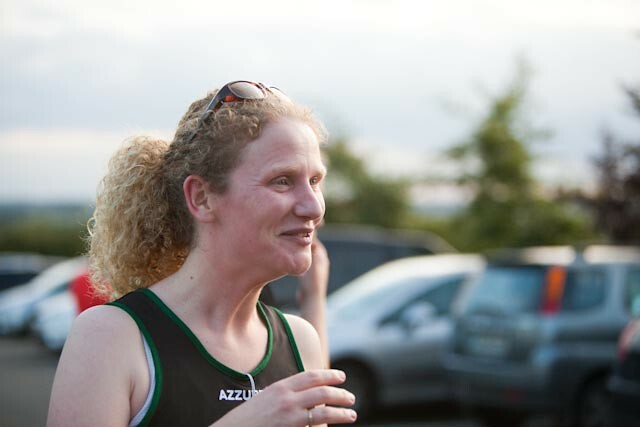 One of the clubs newer members Barbara McLoughlin ran a great racing and finished in just over the hour. Earlier in the week the club juvenile championship drew the curtain closed on an excellent track and field season for the clubs younger members. Atrocious weather conditions did not deter the large turnout and the quality of athletics on show. There was a wide ranging programme of events including sprinting and longer distance running as well as ball throw, long jump and Turbo javelin. Each child left with a medal, goodie bag and lots of happy memories. Juvenile athletics within the club now takes a summer break returning in early August which is in time for the cross country season. 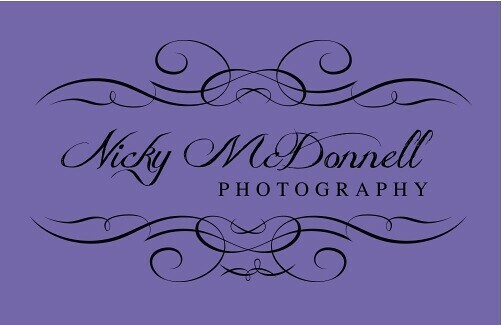 COMPETITION TIME,,,,,, head on over to our 10k Facebook Tag Friend and let them know all about this great competition.. The groundwork put in by both athletes and coaches within Duleek AC continues to pay dividends. This was further evidenced by outstanding performances at the weekend from Saoirse Power and Nessa Rohan in the under 9 girl’s team events at the All Ireland Juvenile team track and field championships held in Tullamore. Both girls qualified for the finals via their outstanding performances in the Leinster championships at the same venue recently where they took home the silver medals. The long jump is the favoured field discipline of both athletes. There was the added dimension on this occasion of the pressure and scale of the overall occasion in what is a deceptively technical discipline. A strong long jump performance contains numerous dimensions and maximising the length of the jump is about combining speed, agility and strength. The scale of the occasion did not deter either athlete as they both set PB’s in reaching a combined total of 6 metres 10 centimetres which proved sufficient to break them into the top 10 nationally. This represents the apex of achievement in what has been a very fruitful track and field season for both athletes. Earlier in the week Claremont stadium in Navan was the venue for the decisive round of the Meath track and field league. The league brings out the best of local rivalries in Meath athletics. With numerous track and field disciplines taking place simultaneously the venue is always a hive of activity. This, in addition to the colour and excitement helps to create a unique atmosphere. With valuable league points on the line it was all to play for amidst the mid summer sunshine. A strong team from Duleek made the short trip to Navan for the event. Jack O’Connor put in strong performances in the boys under 9 250m and turbo javelin with the points earned by Jack topped up by Nessa Rohan and Saoirse Power. Megan O’Connor is relatively new to the High Jump, having just recently commenced the event however she is already showing an aptitude for the event as she took third place in the girls under 11 high jump. Ciara McCroary is also demonstrating some good form in this event and also put in an excellent performance. Nicole Hoey also earned some valuable points in what is her strongest event, finishing strongly in the girls under 11 300m. Doireann Power and Ruby Hartford also rounded off an excellent track and field season with a great finish in the same event. Aoife Rohan sprinted strongly in the girls 60m and Derek Reilly flew the flag for the adults by winning the Masters 3,000m. With the scores totted the final results saw Duleek take third place in their division, which was a fitting reward for the performances of the clubs athletes over the series. A number of Duleek and District AC athletes were prominent amongst the thousands of runners who sizzled and sweated their way around the phoenix park last Saturday at the Irish runner 5 mile road race. The race, which traditionally has marked the commencement of the Dublin race series this year operated on a standalone basis. There were sweltering temperatures well in excess of 20 degrees for the large field which took part. The evervescent Anne Hamilton and Sandra Cassin were once again to the fore for the club. Anne and Sandra are two of the most prolific athletes within the club and each weekend can be found representing the club throughout the region. Both put in great performances and eclipsed the 47 minute marker. This was the second 5 mile race in the space of 6 days for Anne and Sandra having completed the Howth 5 mile road race the previous Sunday. Equally impressive were Orla Hillman and Tara Dillon with Orla clocking 47.33 and Tara finishing in 54.28. Greg Dixon put in his second excellent performance in the same week finishing just over 42 minutes. Taking on the unknown can be daunting at the best of times. However, lack of familiarity proved to be no barrier to the Duleek AC under 11 girls team who arrived home from the Leinster team events in Tullamore on bank holiday Monday with bronze medals in the team event. The team event was based off five disciplines - the 60m, 600m, Long Jump, Turbo Javelin and finished with a 4 x 100 relay. Each athlete must complete 2vents from the first 4 events with all athletes working in tandem in the relay event. It is designed to test and reward the overall combined strength of a team in the sprinting, middle distance, throwing and jumping events. The Duleek AC girls were not found wanting amongst the stiff competition provided by 10 other clubs from throughout the province. Nicole Hoey ran a storming 600m, working her way through the placings and showed great patience and stamina and backed this up with a very strong 60m. Ciara McCroary also sprinted strongly and put in a great shift in the Turbo Javelin, which is always an event that Ciara excels in. Doireann Power showed no signs of the post holiday blues as she set a PB in the long jump with a massive jump of 3 metres 40, dusted herself down and also threw a PB in the Turbo Javelin. Ruby Hartford as always ran a very strong 600m coming through very strongly at the end of the race and set a brand new personal best of 3 metres 39 in the Long Jump. All four of the girls finished with a strong relay event. 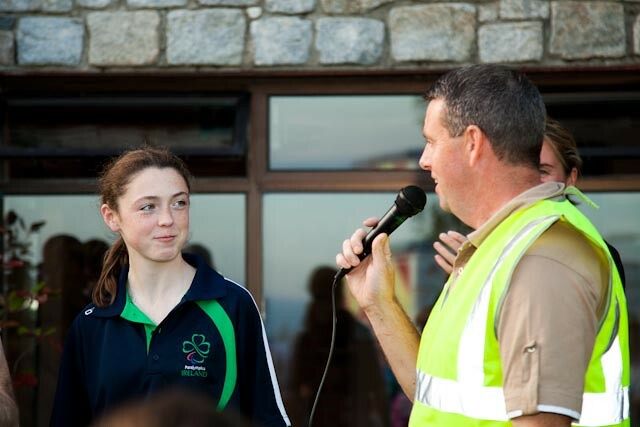 When the points were counted Duleek finished third overall in a very strong competition. The success did not end there with the adults also getting in on the act with David Doyle taking bronze in the 800m event. A mere six days later there was another trip down the M6 for the pair’s event. The event is unique as athletes compete in pairs in the same events with their combined scores counting. Therefore, in selection, it is important to pair athletes of similar strength together. Jack O’Connor and Cormac Brereton competed in the Under 9 Long Jump and 300m events. Both athletes competed strongly and finished narrowly outside the medals. Ruby Hartford and Nicole Hoey were next up in the girls under 11 events as they went in the 600m and Long Jump. Both athletes showed no signs of fatigue from earlier in the week as they performed very well amongst some very stiff competition. Jumping and throwing were on the menu for Doireann Power, Ciara McCroary, Saoirse Dixon and Megan O’Connor as they saved some of their best performances of the year for when it was most needed in the under 11 Long Jump and Turbo Javelin disciplines. In the Under 9 events Nessa Rohan and Saoirse Power added to the clubs tally of Leinster medals this year as they took silver in the Long jump and 60m. Fionn Brereton represented the club very well in the Under 12 600m where he ran a great race, and was no less impressive in the 60m sprint. It was an equally productive weekend for the clubs adults with action taking place in Moylagh, Cooley and Bohermeen. In Moylagh Ray Cassin had an early start in the 50 mile event. As with any endurance event it is very much about managing the physical and mental peaks and troughs that occur throughout the event. 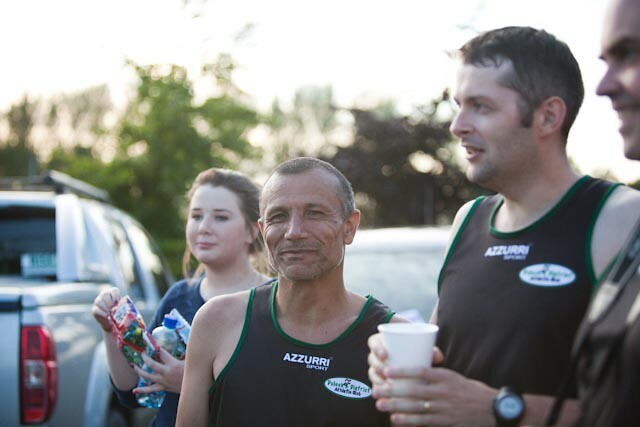 This event would be the longest event attempted by Ray in advance of his 100 mile challenge in Connemara in August and therefore would serve as an accurate barometer of his physical endurance in advance of August. Thankfully, the test was passed with flying colours and another rung en route to Connemara was successfully scaled with Ray finishing strongly to successfully complete the event. The Glenmore AC 10 mile road race, held in the Cooley mountains is an annual favourite of Duleek AC athletes and traditionally is the first step on the Dublin marathon journey. This year proved no different as a number of club athletes made the journey north to tackle both the humid conditions and the undulating terrain. Robert Kierans finished with an impressive 82 minutes with Shane Reid finishing in 84 minutes. There were strong performances from Mary Murray and Anita Lenehan both of whom show continuous signs of improvement to finish in 1 hour 40 mins over the course. Whilst Glenmore contained plenty of endurance and undulation these two attributes were not required for a fast and furious Patrick Bell 5k in Bohermeen. 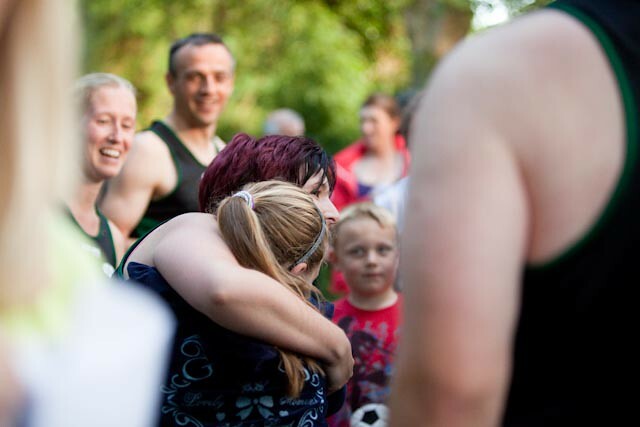 This ever popular midsummer race is always popular with shorter distance runners and this year it proved to be a new and interesting addition to the Duleek AC captain’s series. 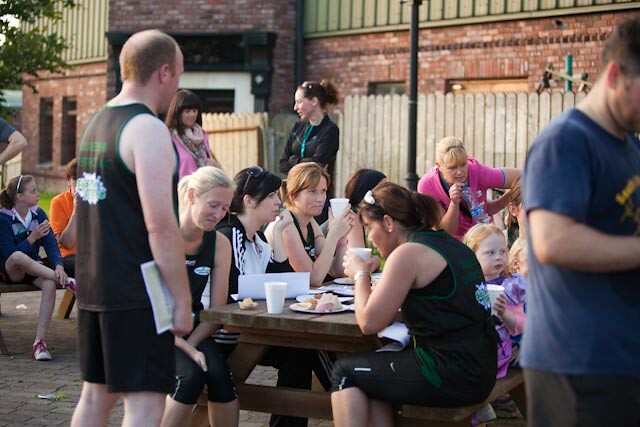 The post race barbeque and live music adds a fun and social dimension to the race. There were lots of sought after team points earned as the captains series entered its midway point. Steve Gallagher clocked a fantastic 21.12 and is improving with each race. Amanda Duff ran a strong race to finish just over 30 minutes with Tara Devine just behind her. Greg Dixon is returning to his best form with a time of 19 minutes whilst there were also impressive performances from Aishling Scully, Amy Devine and Olive Reilly. 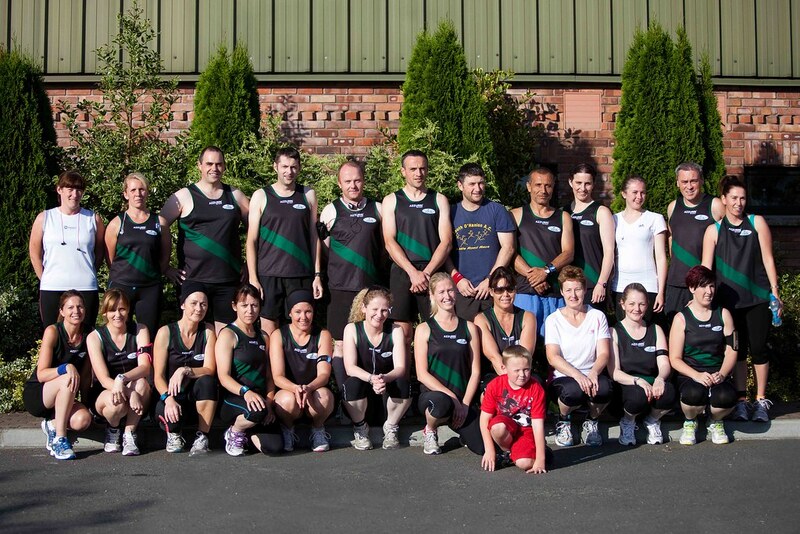 The sub 3 hour marathon club is one of the most exclusive clubs in road running. 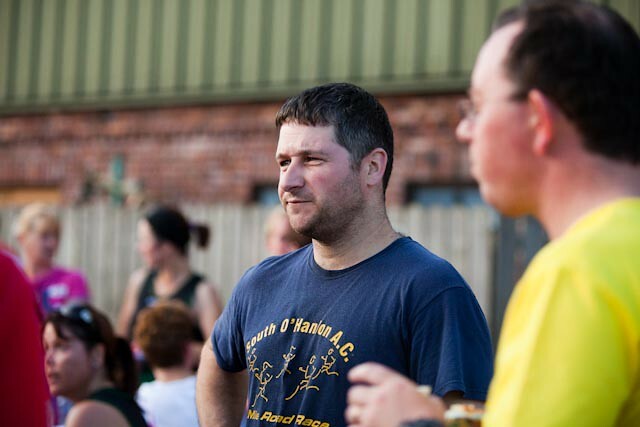 Last weekend, it gained a new member as Duleek AC athlete Derek Reilly broke the 180 minute barrier. Derek was making his first attempt at breaking under the 3 hour milestone at the Cork city marathon. After 6 months of hard training Derek bettered his previous marathon PB by a whopping 20 mins. The humid conditions proved to be no deterrent as Derek made full use of experienced and accurate pacers by running a negative split, going through the halfway mark in just over 1 hour and 29 mins and finishing in a fantastic time of 2 hours and 58 minutes. In doing so, Derek wrote his name into the top 2% of marathon runners in the world who have achieved this feat and ensured his trip back up the M7 would be a very enjoyable one. It proved to be a very notable weekend for marathon running in Duleek AC as just over 300 miles away there was an equally impressive performance from Michelle Croke in the walled city marathon. Michelle wasn’t the only club athlete to make hay at an endurance race north of the border as Eric Devine experienced anything but the Hill street blues as he ran a brand new personal best of 1 hour and 31 minutes in the Newry half marathon which finished in Hill street. Ray Cassins preparation for his 100 mile attempt in Connemara in August continues to go exactly according to plan. Another rung on the ladder to this incredible feat was successfully scaled as Ray successfully completed the Donadea 50km event held in Donadea forest park. The race, held in one of Rays happiest hunting grounds involved a series of laps of the scenic forest park and allowed the competitors to refuel regularly during the gruelling event. With Donadea now complete all roads lead to Connemara in August. There was also some success for the club over a variety of shorter distances as the clubs Juveniles took part in the latest round of the Meath Track and Field league in Navan. This was the penultimate round of the league and points for each respective club were a hard fought and much sought after commodity in each event. 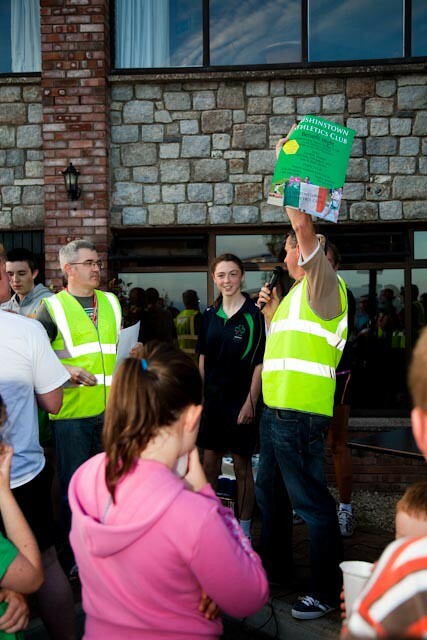 The green vests of Duleek AC turned out in force and there were lots of great performances. Another great showing for the club in Navan tonight at the latest round of the Meath track and Field league. We accumulated lots more points which will help our overall standing in the league. Nessa Rohan ran a strong 60m and threw very well in the Under 9 Turbo Javelin. Myles Killeen put in a storming performance to win his heat in the boys under 9 60m with Cormac Brereton placing strongly. Both boys did very well in the Turbo Javelin. Evan Hoey and Kenny Killeen were placed in separate heats in very competitive Boys 300m with both finishing strongly. There was a great result for the club in the girls under 11 Turbo Javelin with Ciara McCroary and Saoirse Dixon taking a 1,2 in the placings. In the Under 11 60m Ciara came through strongly to place in her heat. Nicole Hoey ran an equally strong heat to take 2nd and Ruby Hartford also finished very strongly. Aoife Rohan gave the 600m everything and ran a great race. The evening finished with the adult 800m race with David Doyle winning the Masters race.